These products provide 35mm lift for your vehicle and they are by far the most popular option available. If you have any questions please call us during business hours on (02) 6024 1464 or email us here. 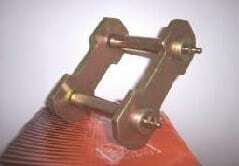 Rear Shackles GR386 - this price is for a pair of shackles. To check the super discounted online price and Australia wide delivery options, please call us during business hours on (02) 6024 1464 or email us here. 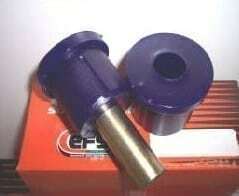 EFS Rear Bushes UK756 - this price is for a pair of rear bushes. Our premium quality polyurethane bush kits are extremely resistant to abrasion, low compression set high tear strength and resistant to oils and solvents. To check the super discounted online price and Australia wide delivery options, please call us during business hours on (02) 6024 1464 or email us here. 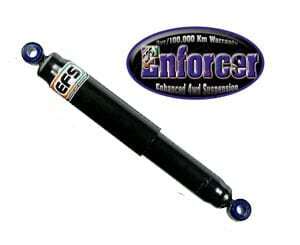 EFS ENFORCER REAR SHOCK ABSORBER GP2636 - this price is for a pair of rear shocks. To check the super discounted online price and Australia wide delivery options, please call us during business hours on (02) 6024 1464 or email us here. EFS suspension components are renowned for being tough offroad suspenion of uncomprimising quality. This is no more evident then in their long running range of shock absorbers, a value for money product with the best warranty in the business- 3 years/100,000 km. 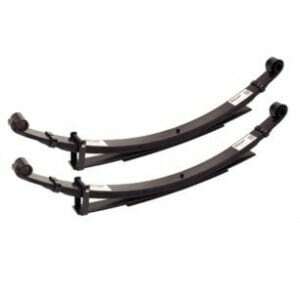 Ford Leaf Rear Springs MAZD-02- this price is for a pair of rear springs. EFS Springs are made from high quality spring steel and provides the driver a more comfortable ride on road, along with increased control and ground clearance off road. Includes 3 year/100,000km warranty. To check the super discounted online price and Australia wide delivery options, please call us during business hours on (02) 6024 1464 or email us here. EFS ENFORCER FRONT SHOCK ABSORBER GP2667A - this price is for a pair of front shock absorbers. To check the super discounted online price and Australia wide delivery options, please call us during business hours on (02) 6024 1464 or email us here. 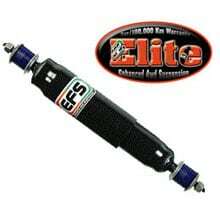 EFS ELITE REAR SHOCK ABSORBER 36-5426 - this price is for a pair of rear shocks. To check the super discounted online price and Australia wide delivery options, please call us during business hours on (02) 6024 1464 or email us here. EFS ELITE FRONT SHOCK ABSORBER 36-5577 - this price is for a pair of front shocks. To check the super discounted online price and Australia wide delivery options, please call us during business hours on (02) 6024 1464 or email us here.